Hip, urban, sleek and stylish, this North Boulder home won’t last on the market long. 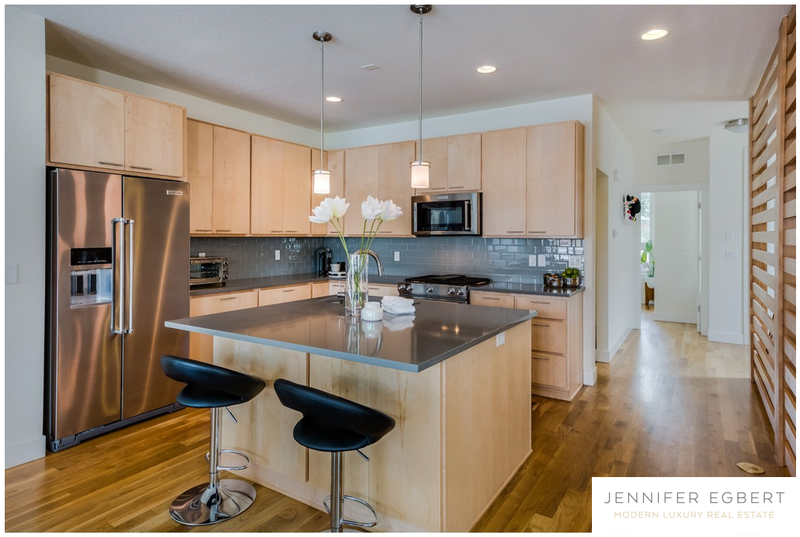 Enjoy an open floorplan with a wood-slatted wall leading into Kitchen, quartz countertops, stainless steel appliances, a glass backsplash, an oversized island, slatted-wood fireplace surround, and more. This property is just steps to trails and North Boulder restaurants. Listed by BoulderHomeSource.